THIS ITEM IS NOT AVAILABLE AT PRESENT. WE WILL NOT BE GETTING ANYMORE Star Wars Boushh Leia Pop! Vinyl Bobble Head. From the Star Wars Pop! Vinyl collection by Funko. 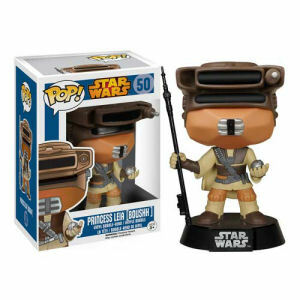 Star Wars Boushh Leia Pop! Vinyl Bobble Head. Measures 3.75 inches tall.